Hello skincare enthusiasts and novices! Happy weekend! Today’s post is extremely exciting because I’m reviewing another Korean Beauty product that can also very easily be purchased in the UK. Hurray! The brand I’m working with today are called When and they have very kindly sent me two of their masks to try out and see what I think. 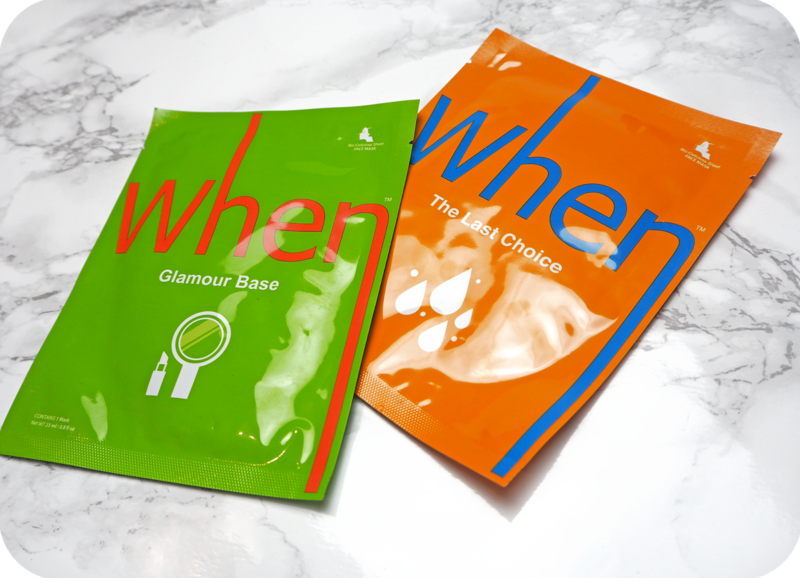 In the UK face mask sheets are seen as somewhat of a luxury and a “treat”, however in Korea they’re incorporated into their every day skincare routine. When was created solely on the basis of trying to bring Luxury dermatological treatments into the homes of the busy modern day woman. Whenever your skin needs a spa treatment, you don’t need to break the bank balance and visit a spa anymore, instead When have created a product you can use easily from the comfort of your own home. To be perfectly honest at £25 (for just 4 masks), I can see exactly why you might not want to be using them every day, however if there is one thing that I stress is worth investing in it’s definitely skincare. Each mask would work out just over £6 for one/each use, which doesn’t sound too bad when you put it like that but let’s see if it’s really worth it. So what makes these masks so good? The bio-cellulose sheet is coconut derived and infused with an intensely hydrating serum. By intensely hydrating, I mean that the mask holds up to 100 times it’s dry weight (10 times more than your average mask) of the serum so you know that product is definitely going to be working it’s way into your skin rather than just drying up before you’ve even put it on! Plus you did just read correctly, it’s derived from coconuts and if you have done any research on the benefits of coconut (if you haven’t here’s a post for you) then you already know how amazing it is for your skin and body. The hydrating serum used in the masks is made up of naturally derived ingredients that sound really exciting. Some of these include, sodium hyaluronate (fine hyaluronic acid), ginseng extracts, and other plant extracts to help keep your skin happy, healthy and glowing. As with all of the products I put on to my face, I’m happy to share that all the When masks are also Parabens and Benzophenone free. By the time I finished reading and researching the ingredients I couldn’t wait to put it on. The masks all come in colourful air tight packets that are very easy to rip open. No fiddling about looking for scissors! The mask came out drenched in the serum, you can probably tell from the picture how much product it had on it. Once you take out the sheet which is folded up, you had to remove the top and bottom layers of the mask and put it on to a clean and cry face. The bottom layer is a silvery foil which is easy to remove and the top one can be easily missed and took a minute to separate. Then you just find the eye holes and place it on to your face. I do usually have a bit of trouble with sheet masks because I have such a small face and this one was no different. Some masks have little slits along the edges so it’s easier to mould it to your face shape and unfortunately this one doesn’t have those. I did also find that because it was so wet it did initially keeps sliding out of place. The instructions state that you leave the mask on for 30 minutes and after removing it massaging any left over product into your face. Easy peasy! The masks that I were sent to try were Glamour Base and The Last Choice. I decided to test ‘Glamour Base’ first and set it on to my face. 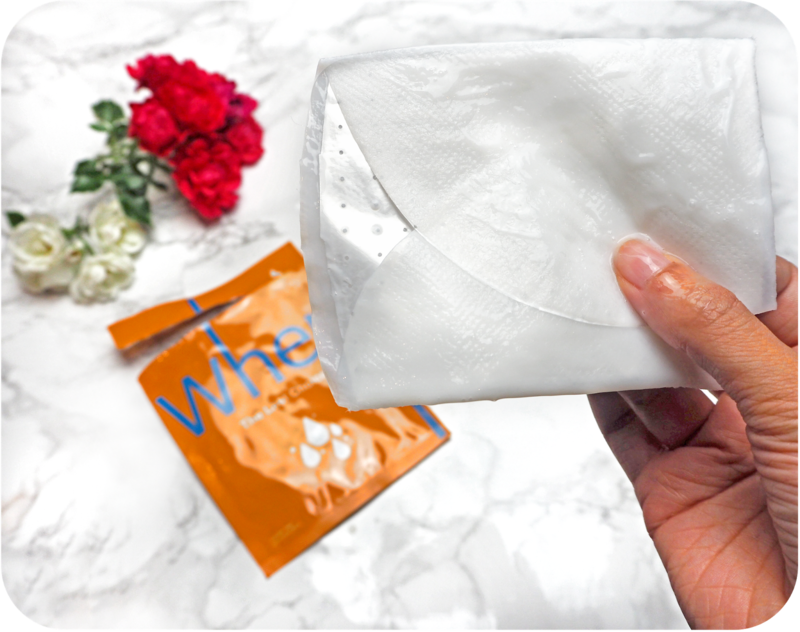 I usually use mask sheets in the evening but this one is a special mask that is made specifically to help your makeup sit better and last longer. The key ingredients in GB are Adenosine, Hydrolyzed Collagen, Peptides; all of which are great for anti-aging. Pretty much as soon as I had put it on to my face, it felt like I had splashed cold water on it and the cooling sensation felt amazing. There was no real smell or fragrance to the sheets which I was glad of. After walking around looking like Hannibal Lecter for 30 mins I removed the mask. It was so infused with the serum that even after 30 minutes it hadn’t dried out. That’s pretty impressive. There was quite a bit of serum residue left on my face so I gently massaged that into my skin. I noticed that despite the cooling sensation my sensitive skin was not irritated by it at all. The final outcome was that my skin felt dewy and so hydrated that I didn’t even feel the need to put on moisturiser. It did also feel like I had put on a primer on to my face so I skipped that step too. Did my makeup last longer? Well I usually have quite dry skin around my cheeks and the sides of my nose, by late afternoon my foundation needs a touch up or it looks weird and flaky. I kid you not, the day I used this mask there was no flakiness! I don’t know if this was a coincidence as I only had the one mask to try out but I’m definitely keen to try out more now. Since the first mask exceeded my expectations I was eager to try out ‘The Last Choice’ soon after. This one is for those of us that need a little bit of extra hydration. The key ingredient is Saccharide Isomerate which is a water binding agent. Sounds interesting right? I put the mask on exactly as directed and relaxed for the next 30 mins. After removing the mask, I had similar results to ‘Glamour Base’, my skin felt moistured and it didn’t look as lacklustre. The areas around my nose looked smooth and by the next day the this smoothness hadn’t worn off. I knew Korean sheet masks were good but I didn’t realise just how much of a difference they would make to my skin. When masks are definitely worth investing in and I can’t wait to try out some of the others in the very near future. For now though, both Glamour Base and The Last Choice receive a huge thumbs up from me. When Masks are available online and in store at Selfridges & Topshop. What Korean products are you a big fan of?